Oil and gas companies regularly collect critical data from remote well sites and production locations, typically using SCADA systems set up to monitor facilities, such as storage tanks, pumping stations, or pipelines. 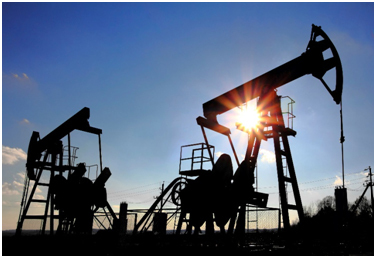 A SCADA system allows Oil and Gas facilities to collect data from different segments of their operation which includes not only the on-site location but remote well sites. SCADA systems will allow them to monitor what is taking place in the storage tanks, pumping stations and the pipe lines. How this data is collected, stored and used is critically important to both the oil and gas facilities functionality. A prime example is data that is collected from an oil rig, when collected with a SCADA system it allows the proper system management specialists to make decisions based on the data they have been able to access quickly. It allows them to ensure that the rig is running effectively and safely without even having to be at the rig site to access the data. Being able to analyze the important data that the SCADA system collects allows Oil and Gas facilities to increase production. It indicates where potential problems may be surfacing early enough that proper steps can be taken to avoid a more serious malfunction or any injuries occurred. SCADA can be accessed through a variety of mediums such as computers, tablets and even smart phones. Software such as SCADA Mobile Aware can enhance SCADA alarm capabilities. This software has the ability to manage and disseminate alarm notifications to key personnel within the Oil and Gas facilities system management. This allows these companies to have a quick response team ready to respond as soon as SCADA detects a problem. Implementing a rapid response time creates a safer work environment and will help keep costs down. Problems that are addressed early may mean the prevention of further damage that could be far more costly. The SCADA Mobile Aware software allows remote access to the SCADA system. Designated responders are able to record their receipt of the alert. All of which can be done through their mobile device. Knowing that SCADA alarms are going to be received no matter when or where allows Oil and Gas facilities to put all of the requirements necessary to deal with the issues reported through the SCADA system into play immediately.